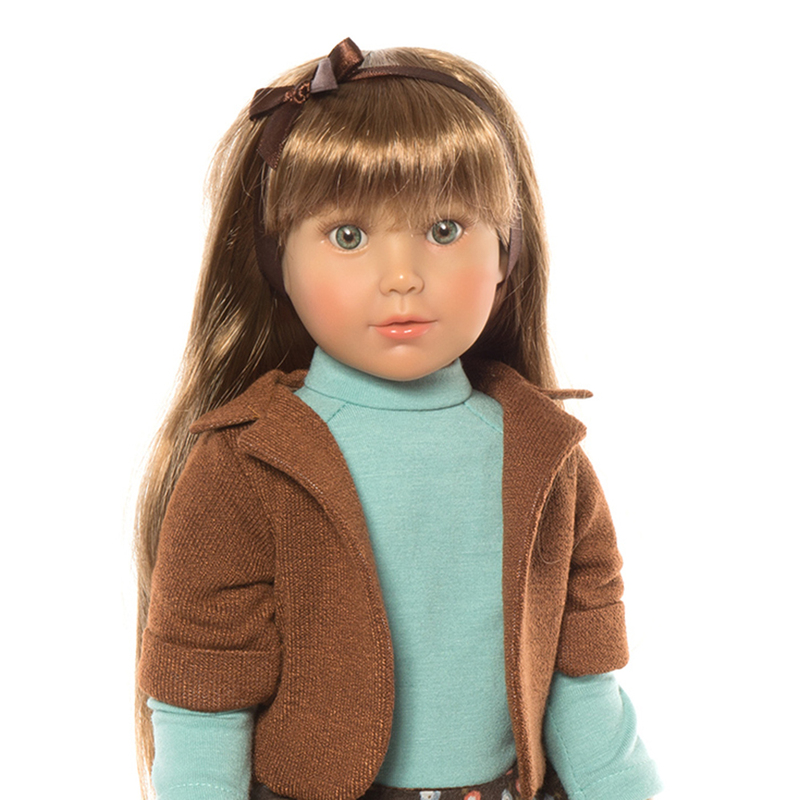 Jodie is dressed in a brown cotton jacket and turquoise pullover. Her lilac shoes pick up hues from the colourful patterns of her ruffled skirt. Jodie is dressed in a brown cotton jacket and turquoise pullover. Her lilac shoes pick up hues from the colourful patterns of her ruffled skirt. Her Kidz’n’Cats doll has donned a purple onesie to go with her shoes. High quality kanekalon wig. Green-blue, lifelike acrylic glass eyes. Real eyelashes.